Stay in your sweet spot with Mason Jar at your side. We help you focus more time and attention on your strengths so you can multiply your impact—with customers, across media channels, and in day-to-day operations. 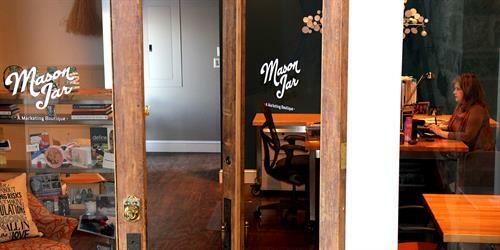 Mason Jar’s 2-Week Marketing Refresh™ is the fast track to new marketing materials. We empower you to share your organization’s story with tools that fuel success. And we do it all in two weeks! We are a boutique marketing firm with a singular mission—helping clients succeed. Each team member excels at a core marketing discipline. Combined with your expertise, these talents deliver a comprehensive marketing solution every time. From fresh design to compelling messaging, we tell your story in an engaging and creative way to elevate brand awareness with a consistent marketplace presence. We all have more than 15 years experience in marketing communications. And, we've been collaborating nearly 9 years. You can expect Mason Jar to listen well, think big, act fast and measure impact.